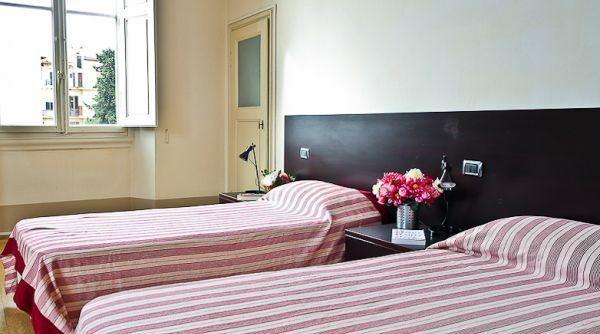 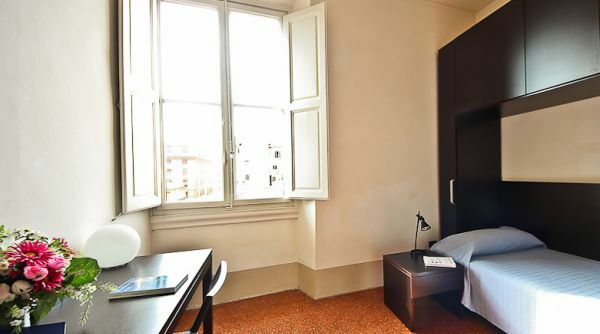 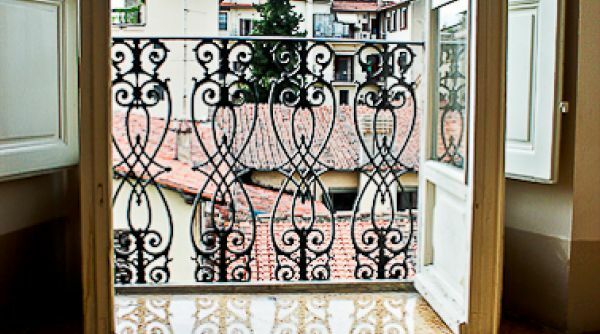 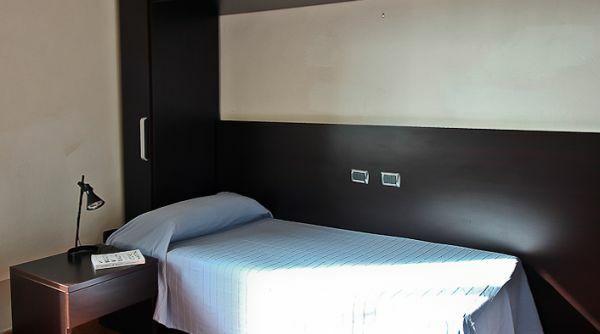 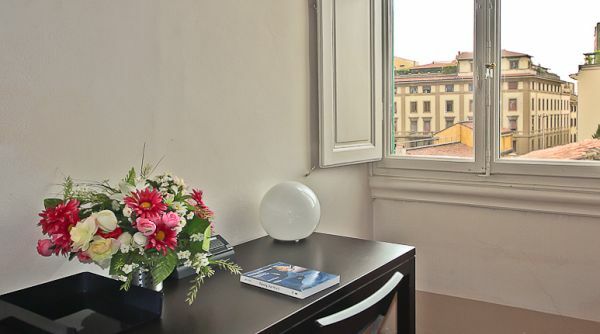 This beautiful 150-square-meter holiday lodging in the historic center of Florence is perfect for students and it is on the second floor of a renovated renaissance palace. 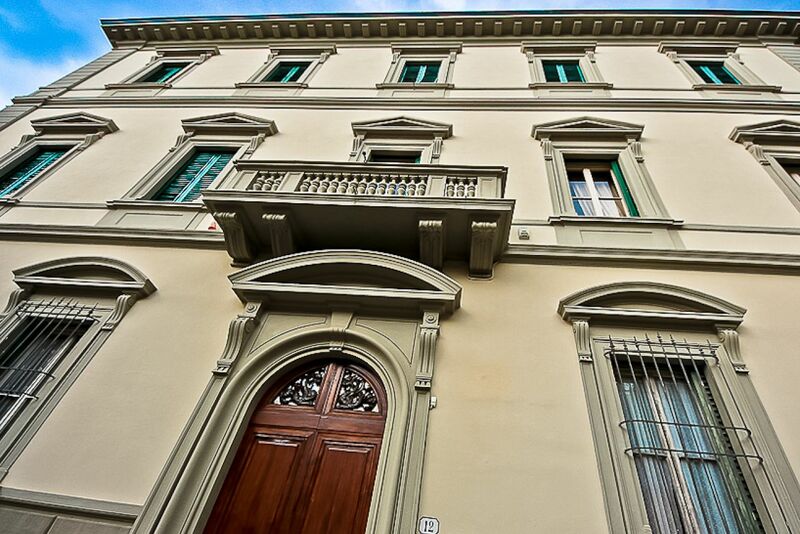 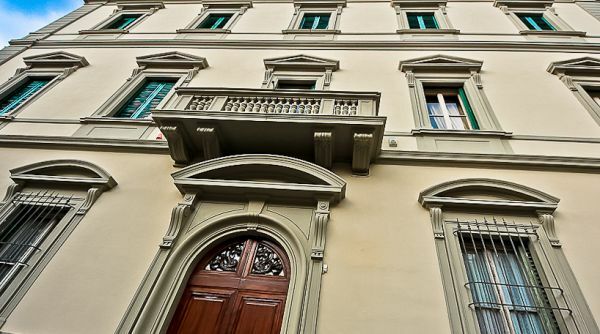 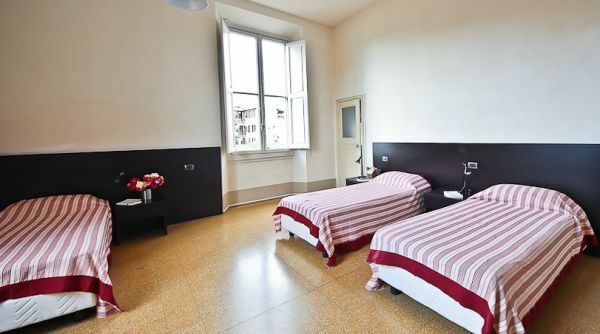 The building is at the corner of Via Micheli and Cherubini and is located just steps away from the Academy, San Marco’s Church, Fra Angelico’s Museum, Piazza Santissima Annunziata and many other touristic spots. 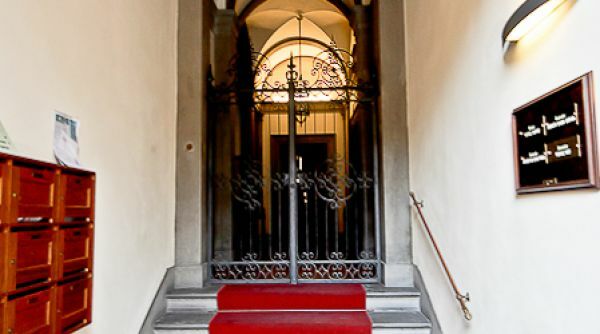 The main entrance of the building is located just opposite to the Botanical Gardens - also known as the Herb Garden, built by Cosimo de Medici in 1545. 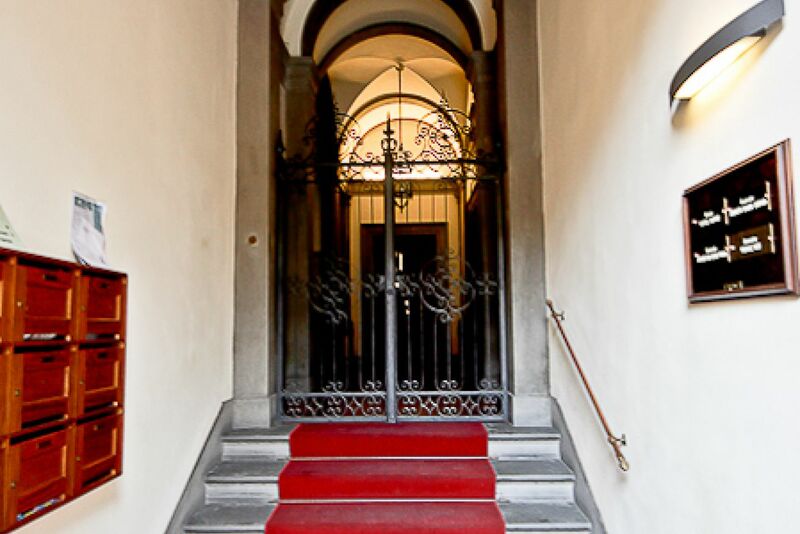 One can reach the second floor by elevator or by the grand original-stone staircase. 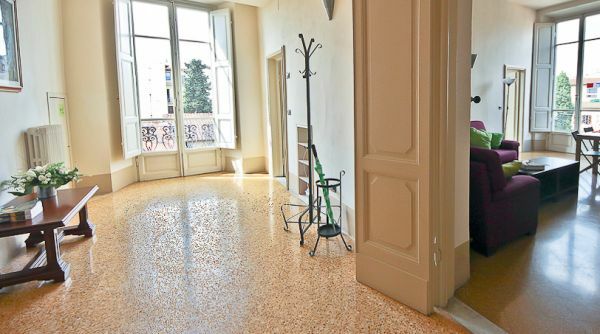 A large entrance welcomes you to reveal what makes this house unique and singular: silence and light in every room and every hour of the day. 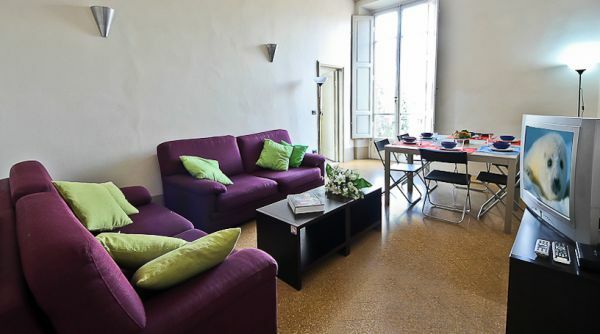 At the entrance to the right is a large open room with 2 beds, a lounge with two comfortable sofas, coffee table and TV in the corner of the dining table that can accommodate at least 8 people. 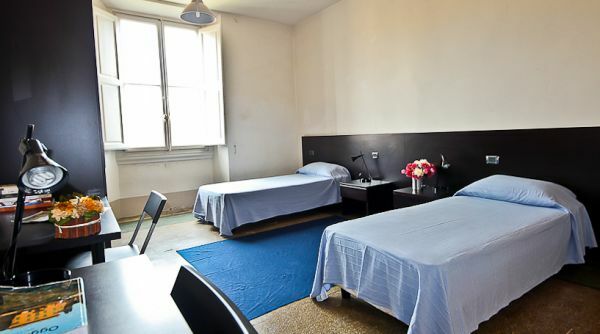 Both these rooms have view to the inner yard of the block. 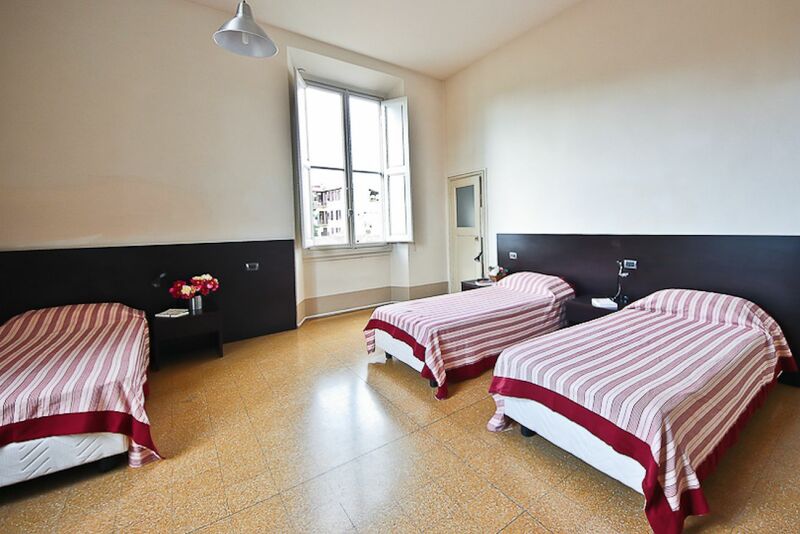 On the opposite side of the entrance there is a single room, a bedroom with three beds and another bedroom with two beds. 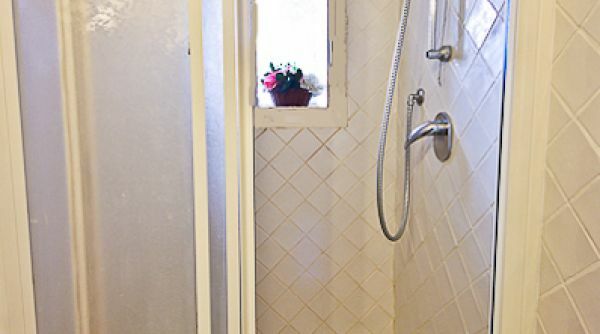 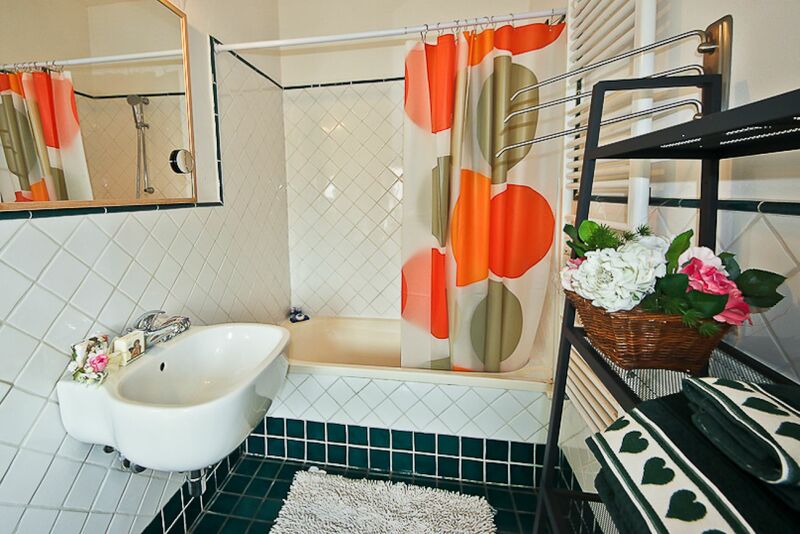 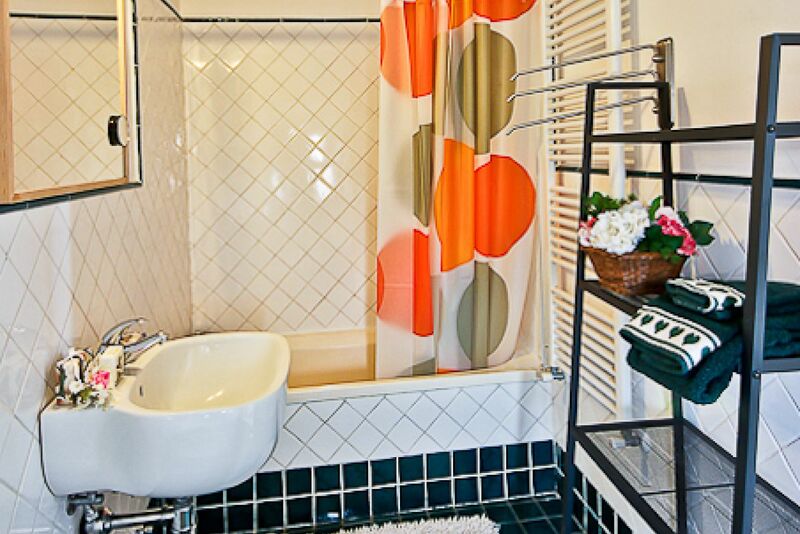 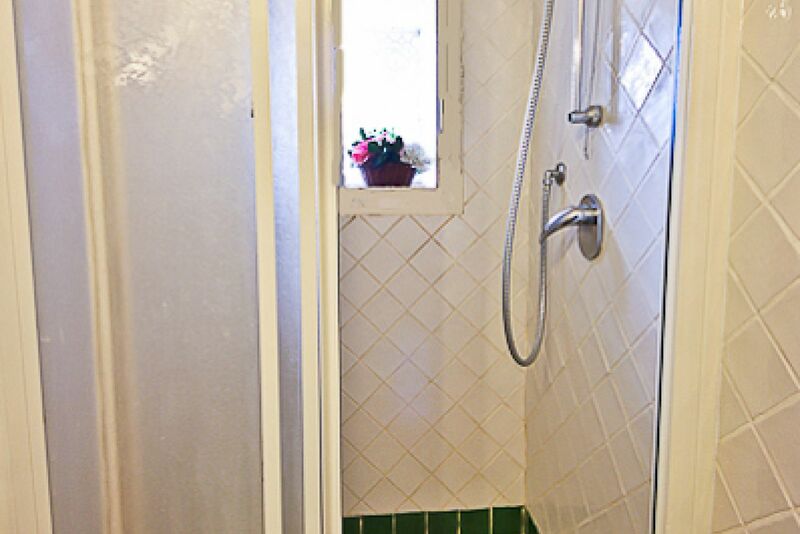 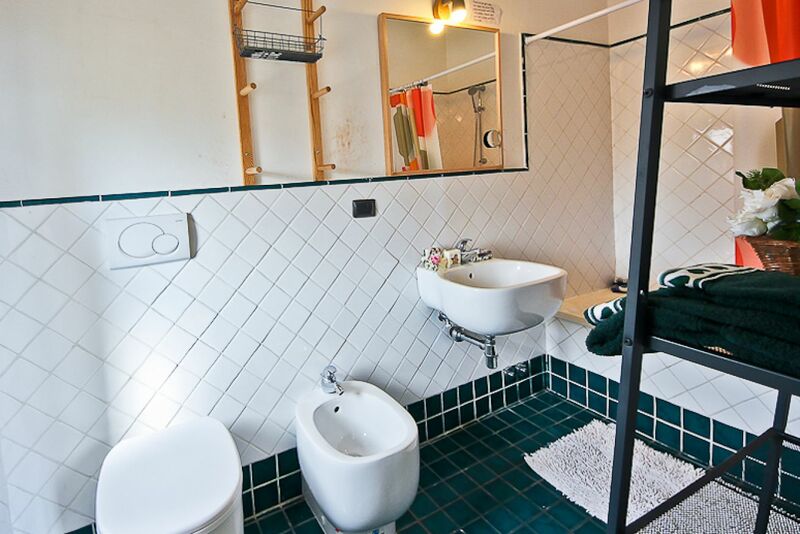 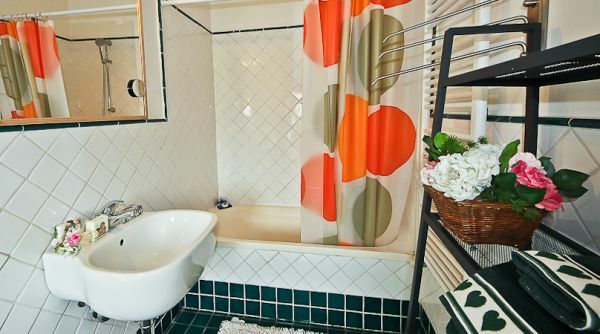 Two bathrooms with shower and tub-shower. 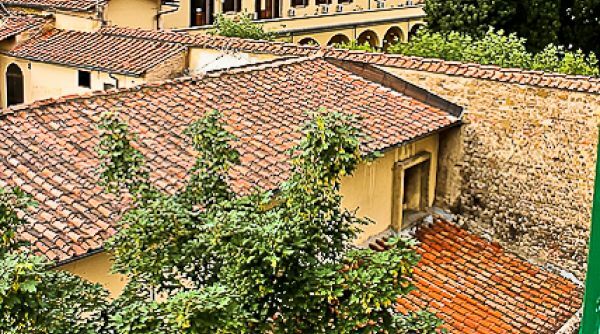 From the large windows of the last two rooms you can admire the rare plants and trees of the Garden of Simple (well worth a visit, is open to the public and hosts temporary exhibitions of natural history). 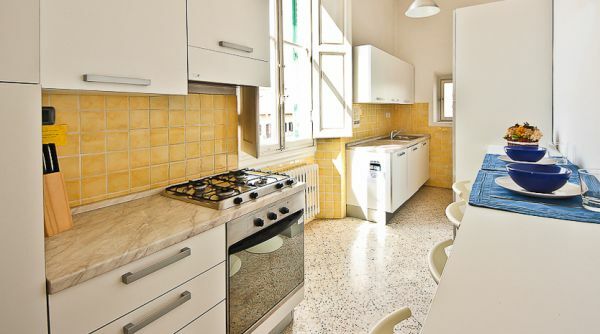 Next to the living room, with two access-doors, is the functional and modern equipped kitchen, with two large refrigerators and freezers, gas stove, oven, washing machine and boiler (heating). 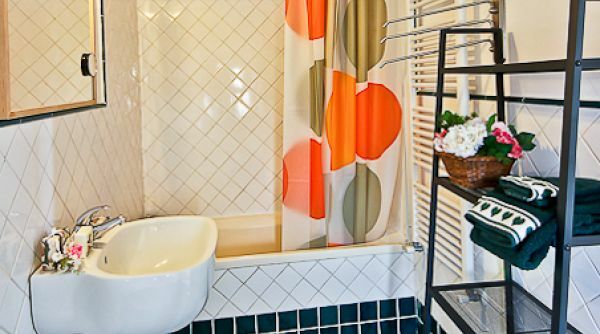 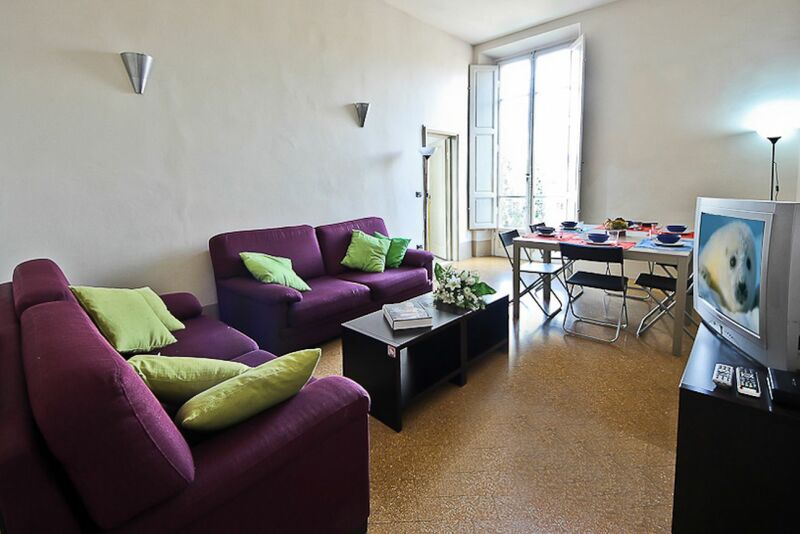 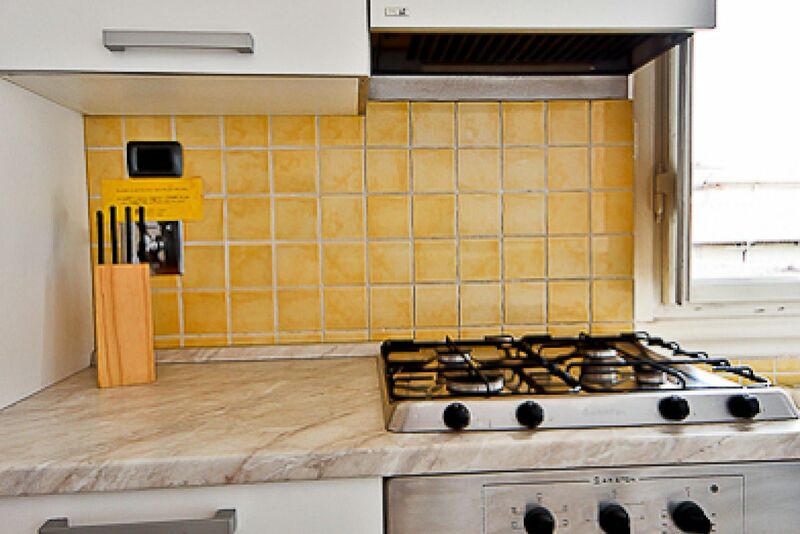 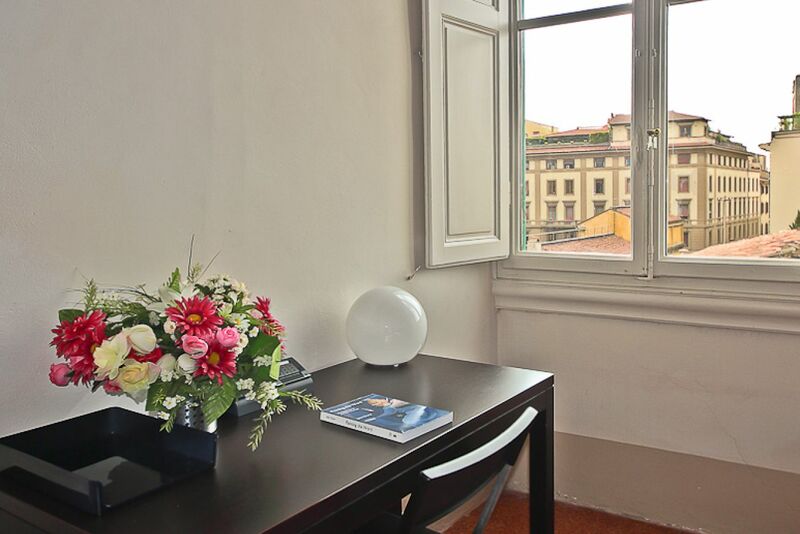 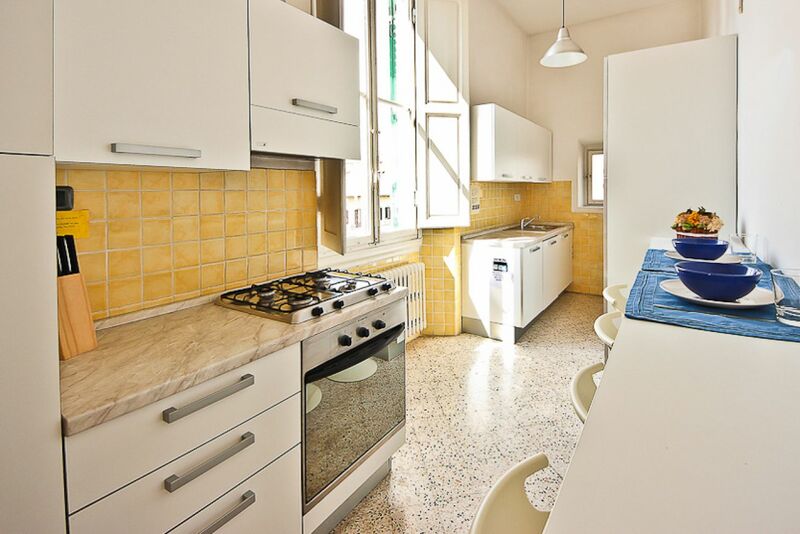 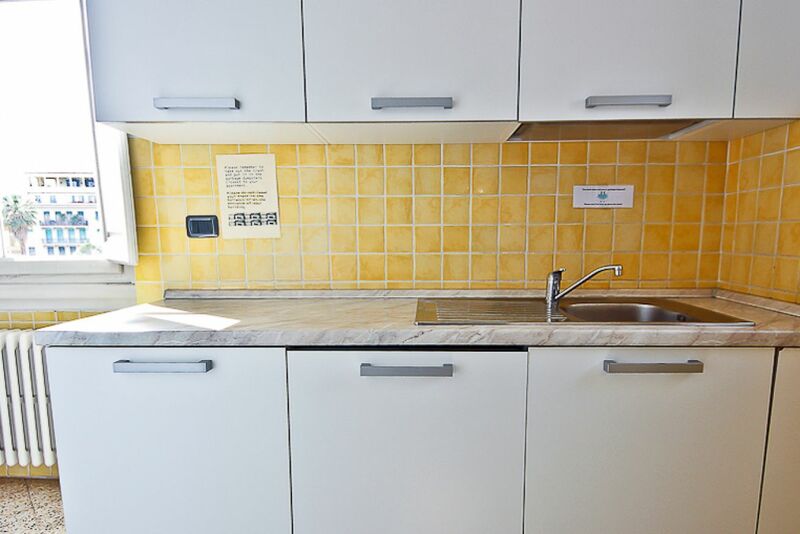 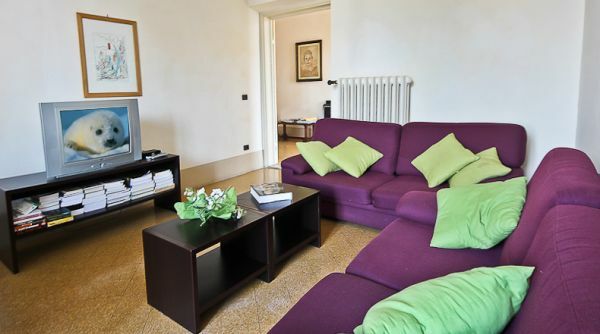 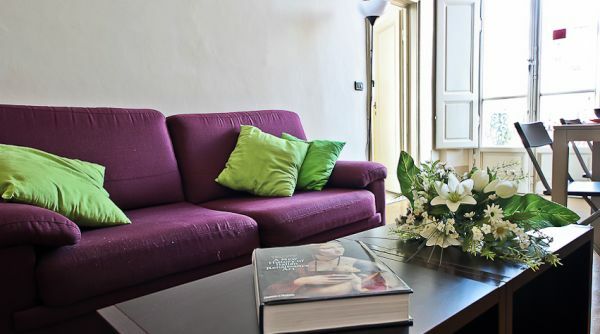 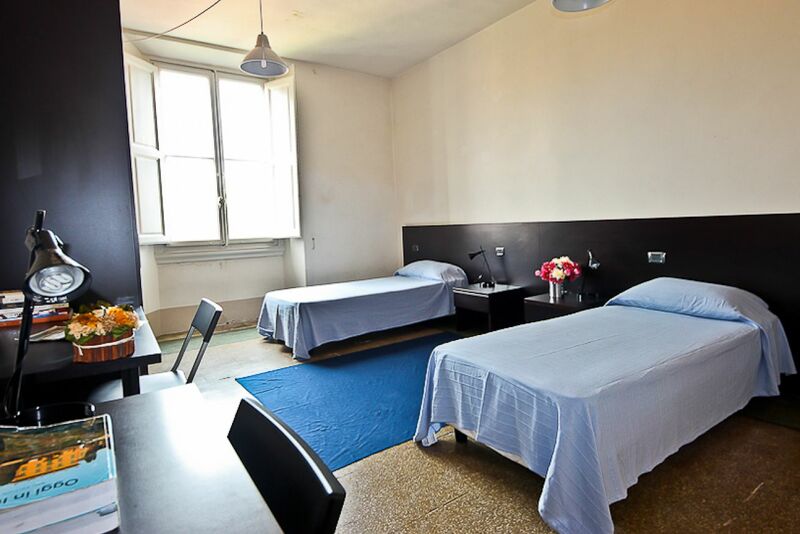 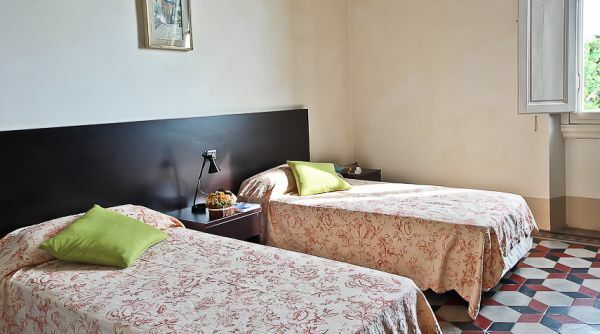 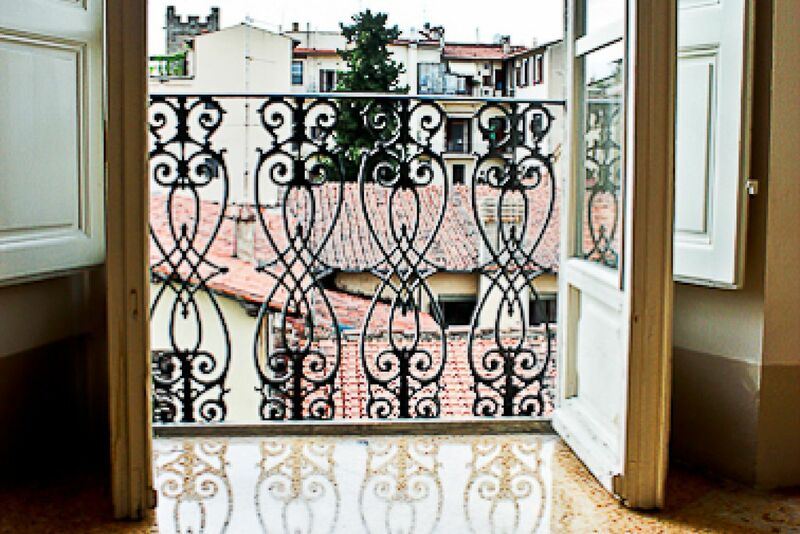 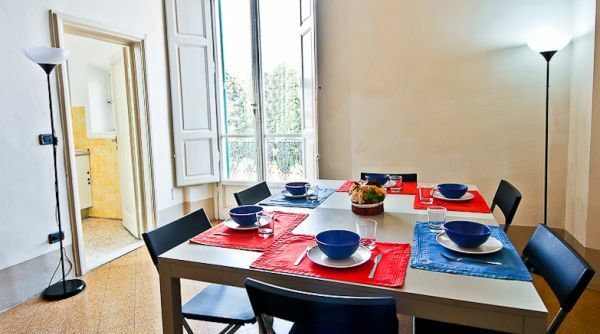 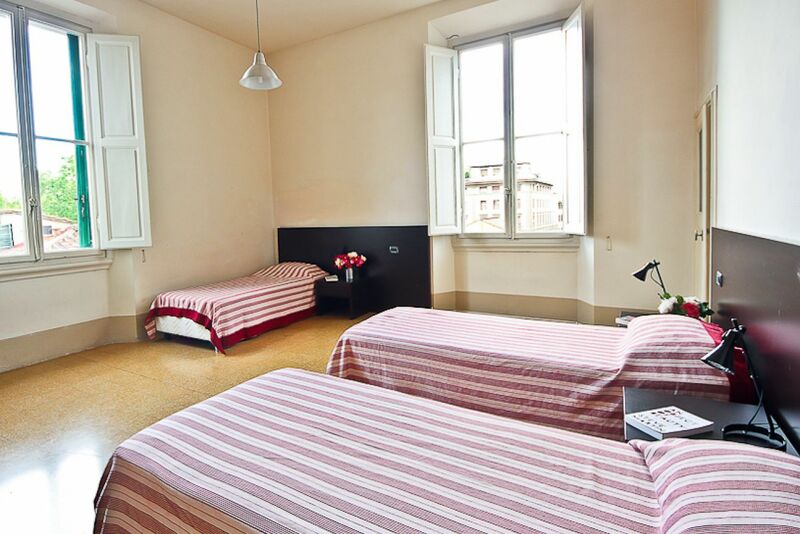 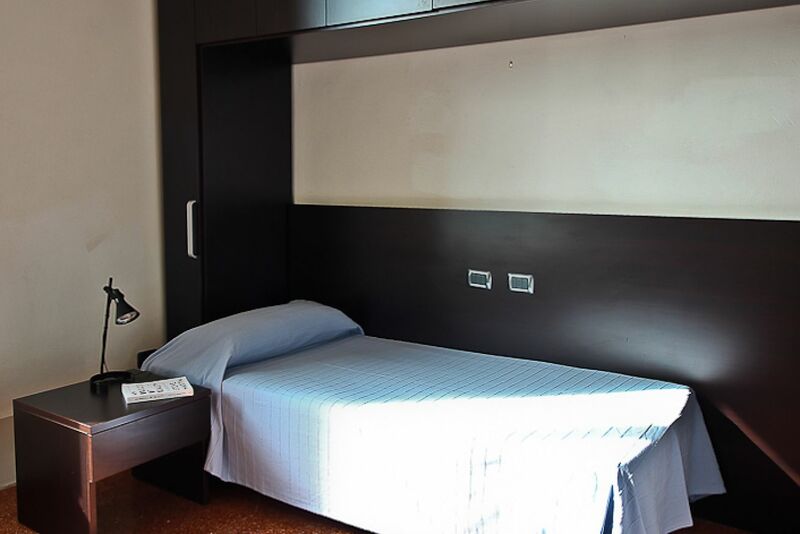 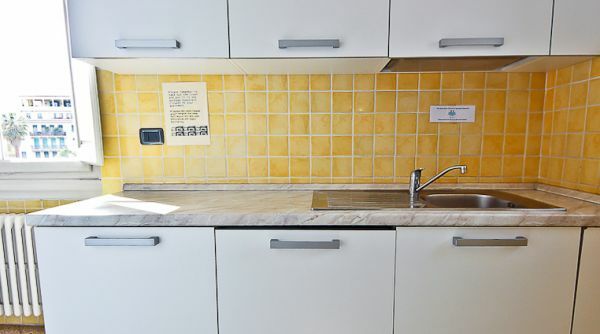 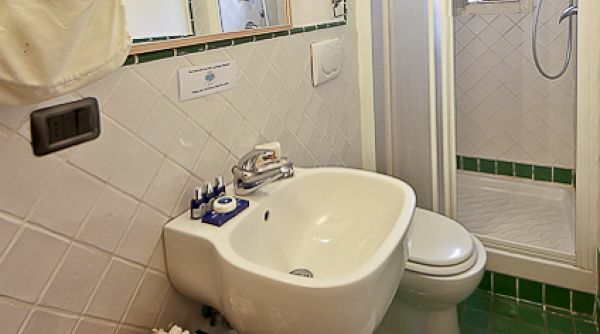 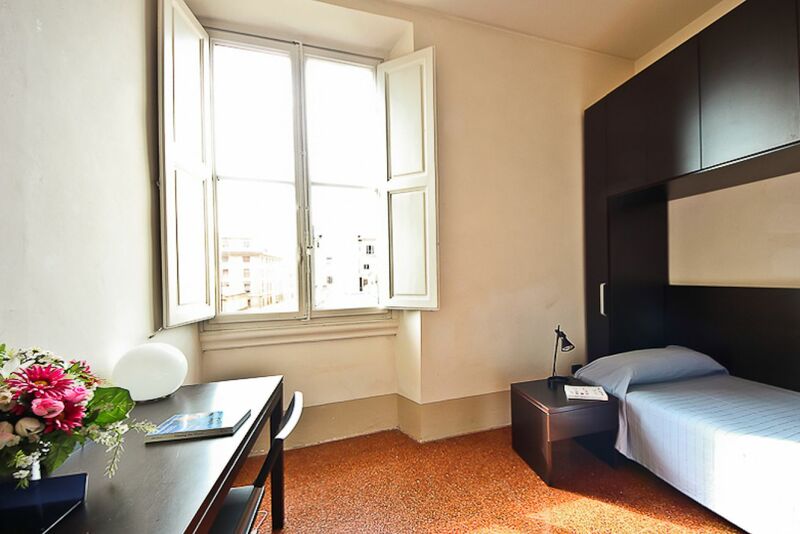 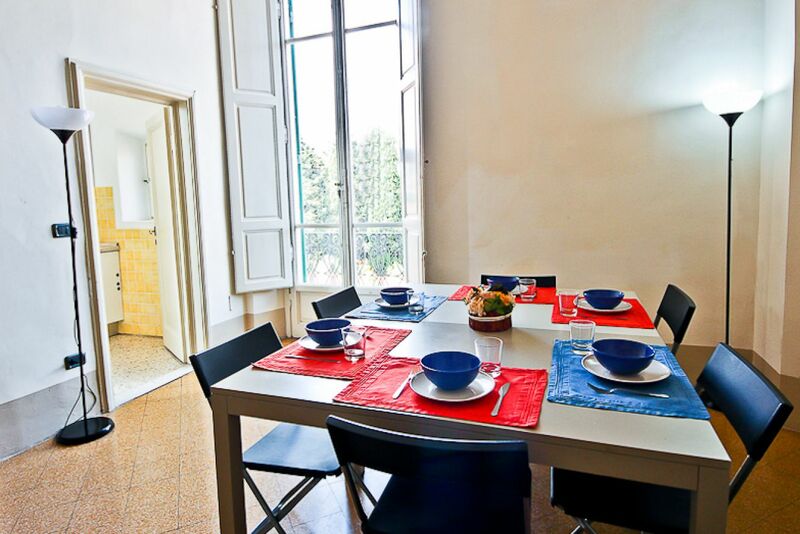 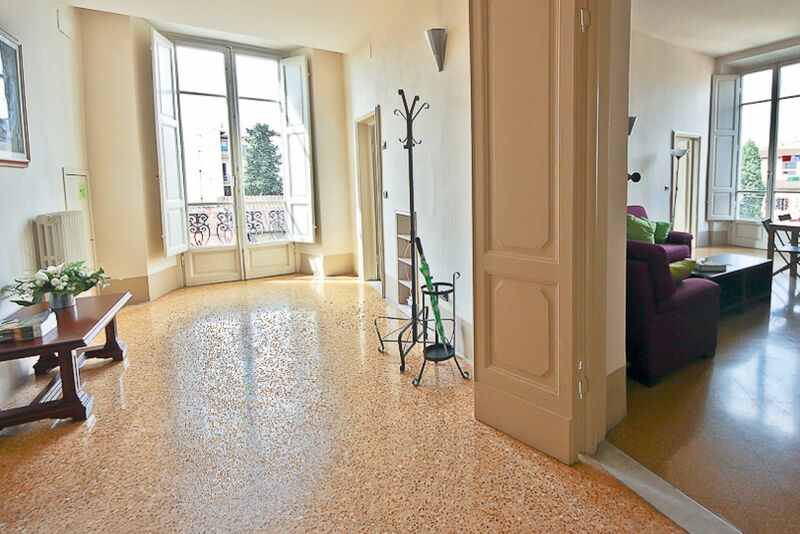 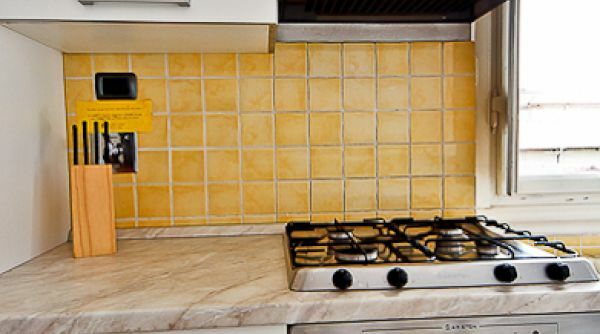 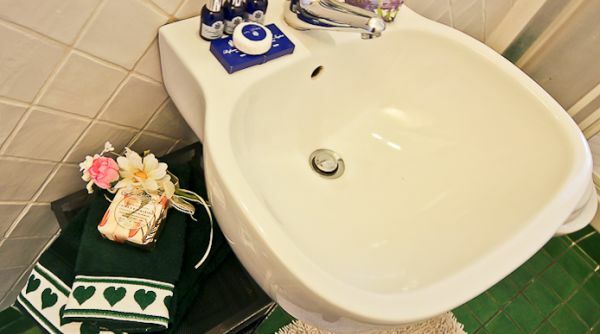 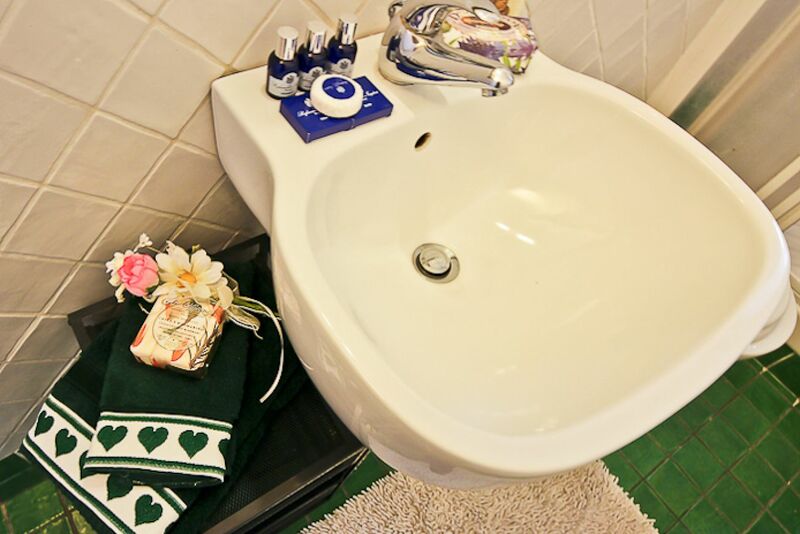 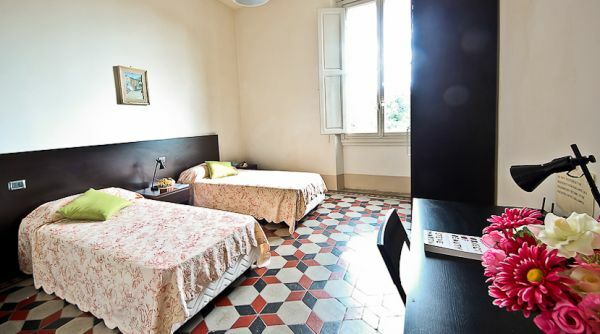 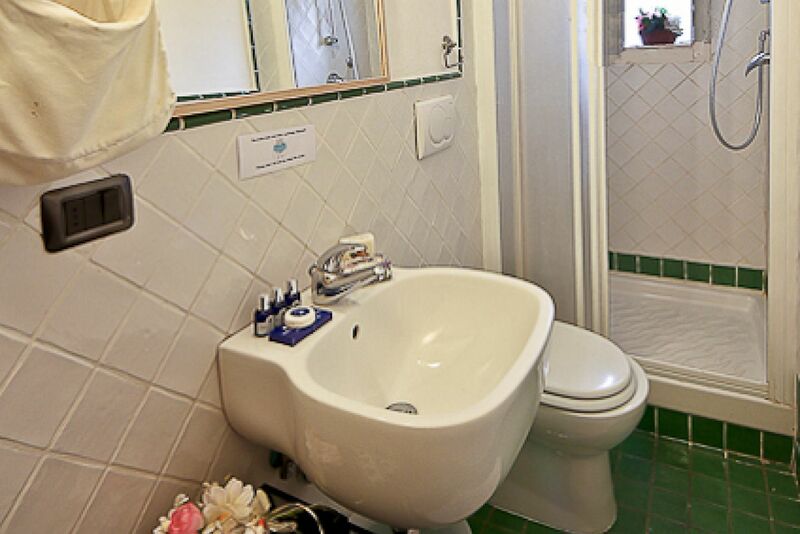 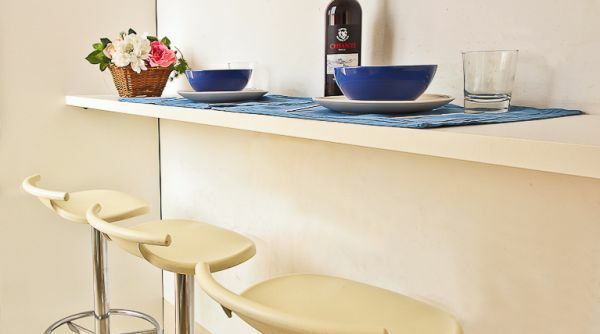 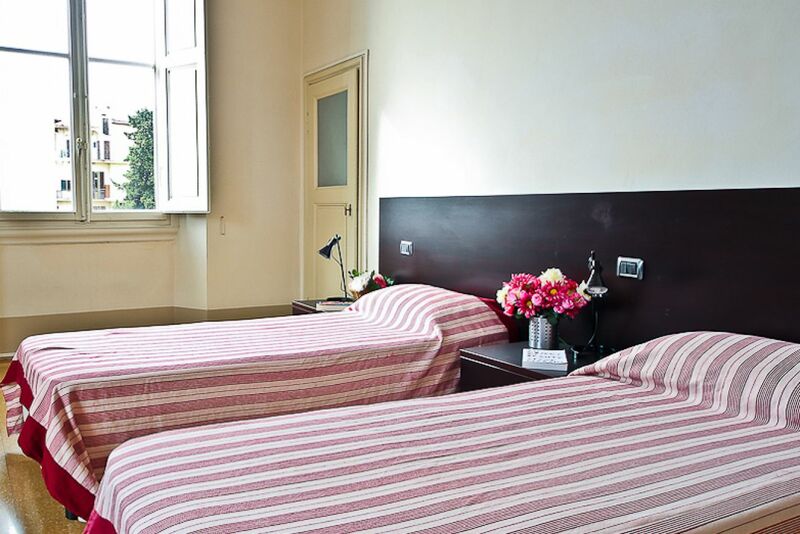 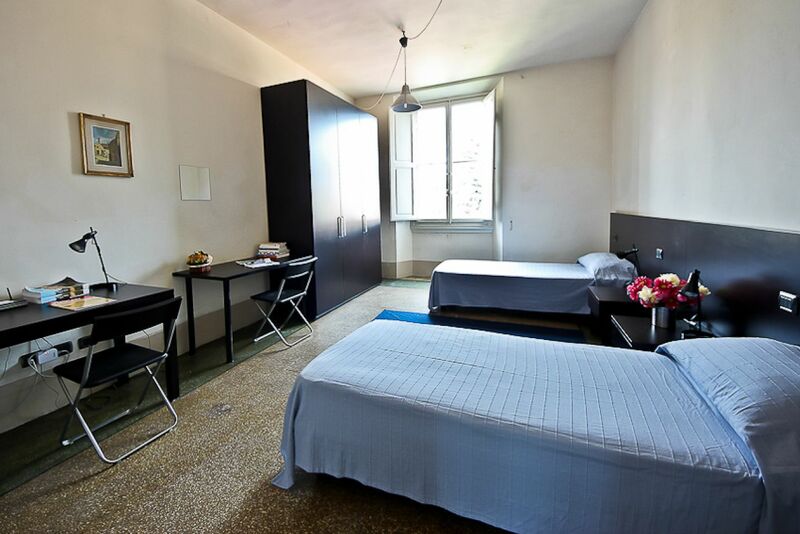 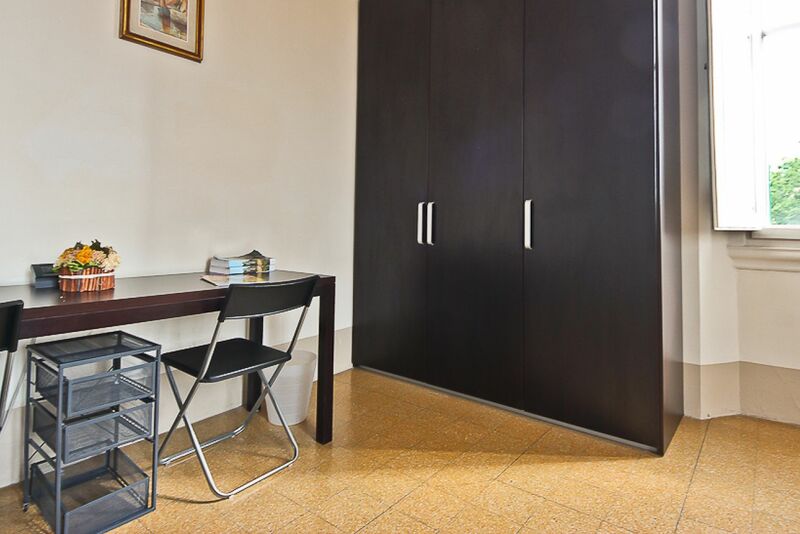 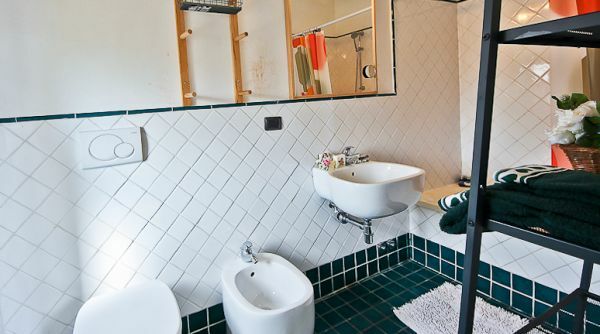 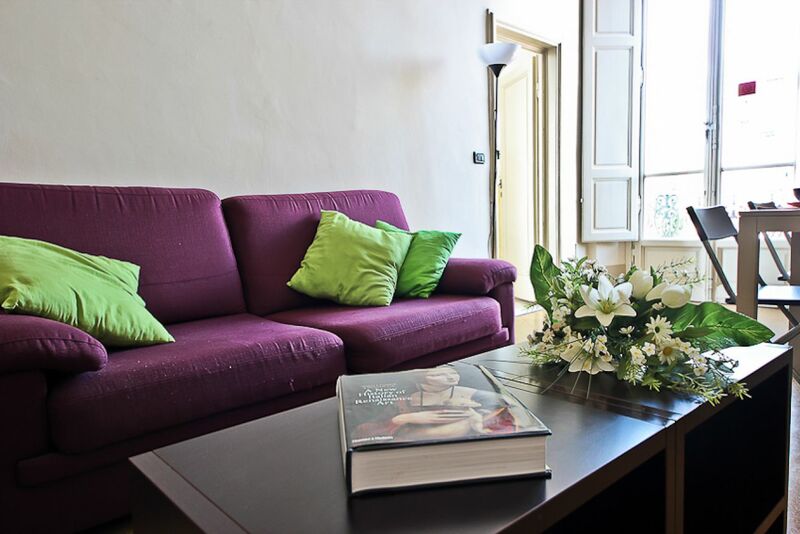 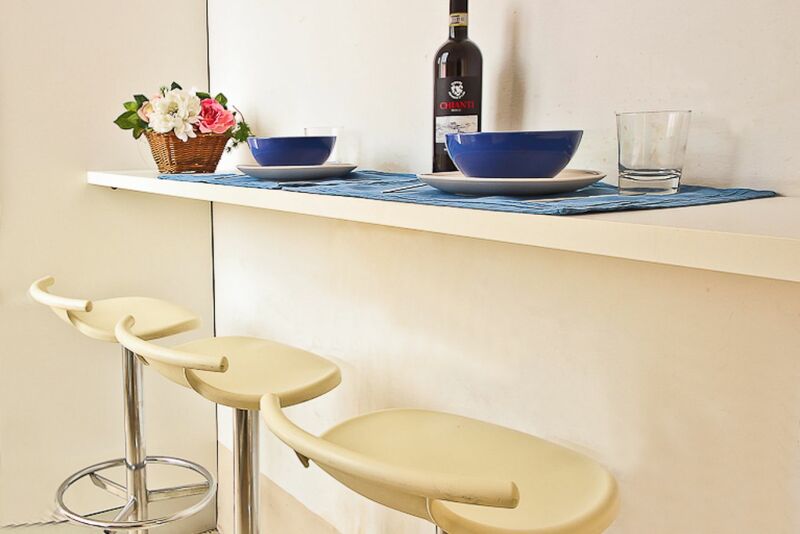 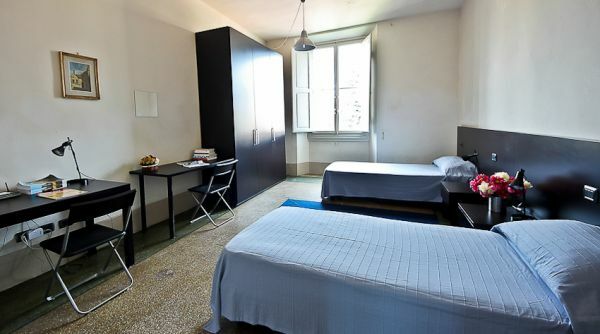 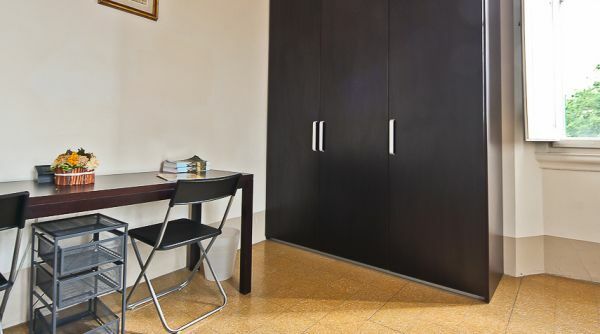 This Florence apartment rental is furnished in a sober and functional way, ideal for those staying in this beautiful city and looking for a comfortable and quiet retreat to relax and prepare for subsequent visits to the monuments. 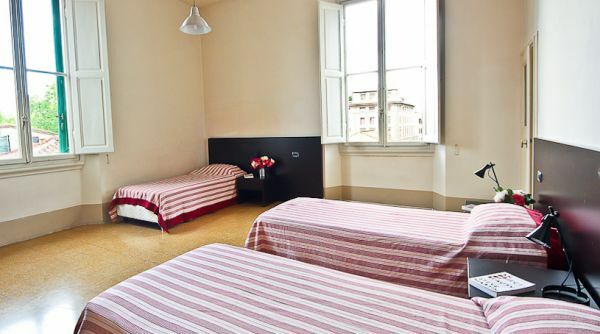 On the nearby streets there are shops for every need and perpendicular to the road are the bus stops that connect neighboring and distant areas of the city. 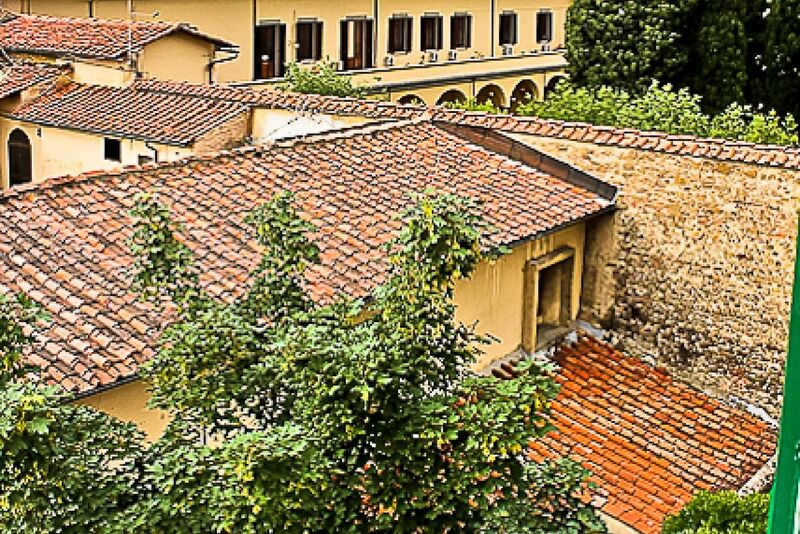 The heart of Florence can be reached on foot in 10 minutes! 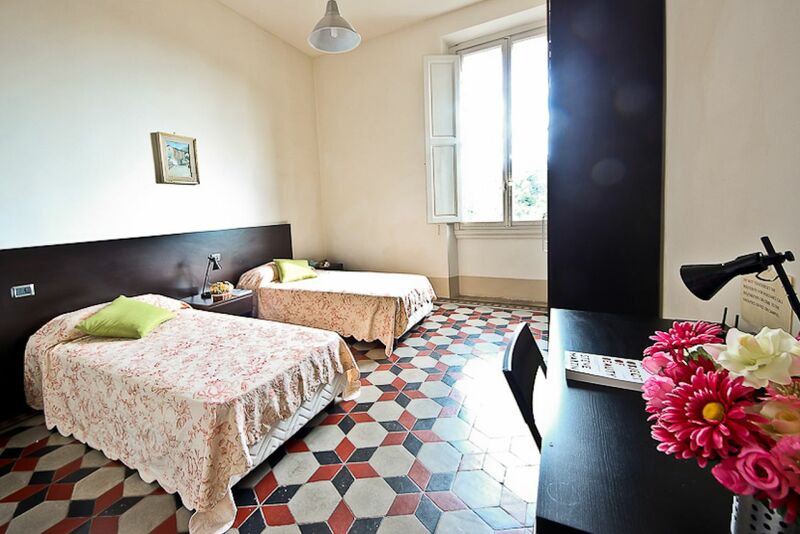 Available only during the summer from June 1st to August 10th.